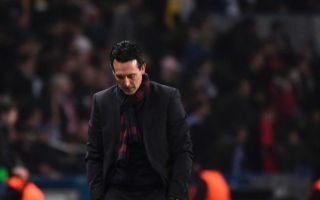 Arsenal star Mesut Ozil was understood to be dropped from the Gunners’ starting XI for their 3-1 victory over West Ham due to the former Real Madrid man having heated argument with new manager Unai Emery. According to journalist Joao Castelo-Branco, who works for ESPN, Ozil was axed from the Gunners’ first team following a training ground argument with Emery this week. Castelo-Branco also then notes that after finding out he was to start on the bench against Manuel Pellegrini’s side, the German refused to be at the match all together. Atualizando: Hoje quando Ozil descobriu que estaria no banco decidiu não ir ao jogo. Foi embora. Ozil update: I hear he’s not I’ll. This news would have surely sent shockwaves amongst Arsenal’s fan-base, as Ozil’s actions are very unprofessional and it seems as though Emery would not like Ozil to have a bad influence on any of his Arsenal teammates by leaving him out of his squad for today’s tie. Fortunately for the Gunners, Ozil’s absence wasn’t too much of a loss on the day as they ran out 3-1 winners against West Ham at the Emirates. Where will Arsenal finish in their first season under Unai Emery? Fans will be hoping that the victory against the east London side can give the club some much-needed confidence following poor performances in their opening two league fixtures. Confidence and morale will need to be high in the Gunners camp if they have any chance of returning to their former glory under new manager Unai Emery this season as he faces the daunting task of replacing a club legend in Arsene Wenger without the kind of financial resources of most of their big six rivals.